When Canada entered WWII, some found themselves overseas while others held administrative duties or worked in factories manufacturing shells for the war effort. Everyone involved had something to contribute and every one of them has a rich story to tell of a Canada that is vastly different from what we have the privilege of knowing today. 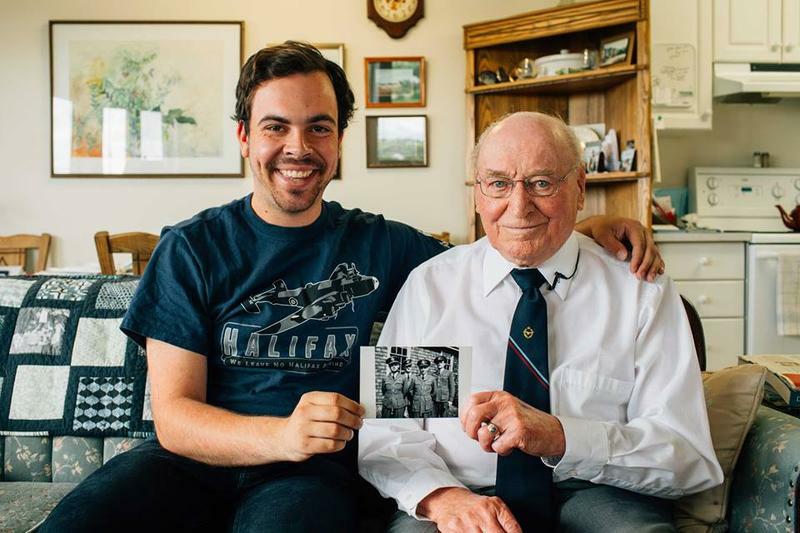 Eric Brunt, a filmmaker and graduate of UBC’s film production program, has dedicated himself to documenting and preserving the stories of WWII veterans in a documentary called Last Ones Standing. Brunt first began his journey in Vancouver by listening to the stories of his grandfather, Clifford. “My grandpa was a big part of my life … he actually passed away while I was at UBC in 2013,” Brunt said. “He was stationed in Quebec and Prince Edward Island for the entire war … he was kind of an unconditional veteran in that sense. Brunt, shortly after Clifford had passed away at 95 years old, began to think of how many other stories that are out there and have yet to be told or documented. “I started interviewing people in the Vancouver area and using my background in film,” he said. What surprised Brunt the most was that for many of the veterans he spoke to, this was their first time telling their story on camera and in some cases, the first time telling their story to anyone at all. One of the veterans Brunt interviewed, Reg Harrison, turned out to have been good friends with Brunt’s grandmother’s brother, Peter Anaka, during training. Harrison was able to share a photograph of himself and Anaka to Brunt — something that struck a major chord with him. “There was a moment where I thought ‘Gosh, my family’s history has come together with my project’ and it just made me think that this is maybe really what I’m supposed to be doing. [Harrison] was just blown away, too,” Brunt said. Brunt plans on ending his journey in St. John’s, Newfoundland. Currently, he has interviewed 191 veterans across the nation. You can read some of the stories that our veterans have shared with Brunt, follow his journey across Canada and learn more information about Last Ones Standing on Brunt’s Facebook page.